Welcome back! We hope that you all enjoyed the half term break and are ready to continue your learning with another exciting topic. Which is your favourite food? Why? Which country does it come from? What are the stages of its growth? Powerpoint from the Reading Information meeting on 26th September can be found here. Powerpoint from the Maths Information meeting on 3rd October can be found here. Powerpoint from the Writing Information meeting on 9th October can be found here. Information about the Phonics Screening Check (as discussed at the meeting on 6th February) can be accessed here (please note that this links to an external site). The phonics sounds information sheet can be downloaded here and the Phonics Play website can be found here. Children need to bring their P.E. kits on Monday to be kept in school until Friday. 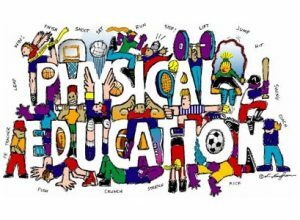 Year 1 will have their P.E. session on Thursdays. On this days can you please ensure that long hair is tied back and that earrings are not worn. It would also be helpful to label your child’s PE kit with their name. Reading books will be changed on Tuesdays & Thursdays. Please make a record of every time your child reads because if they read 20 times within a month, they will receive a golden ticket. 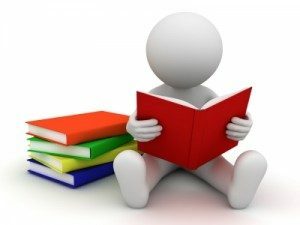 Key Stage 1 parents who help their child to read 20 times a month will be entered into a monthly prize draw. In year 1 we continue to build on the phonics sessions that have taken place throughout your child’s time in the reception class. We follow the Read, Write Inc scheme for the teaching and learning of phonics. At the end of Year 1, all children have to undertake the Year 1 Phonics Screening. Working 1:1 with the teacher, children will read 40 words, some of which are real and some of which are pseudo (made up/’alien’) words containing the 40+ phonemes they have learned during their first two years in school. Weekly spellings will be given out on Tuesdays. Your child will be tested on a selection of these the following Monday. 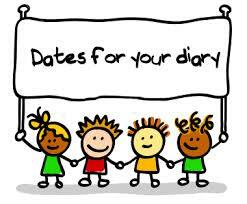 Also during the week, your child will complete a short dictation exercise containing the weekly spellings. Please support your child at home by helping your child learn their weekly spellings. Below are links to some of the sites which the children enjoy learning from. We are continuing with the school ‘Times Tables Challenge’ award system to encourage the children to learn their times tables. In Year 1, children need to learn to count forwards/ backwards in steps of 2, 5 and 10 in order to achieve the award. This half term we will be studying non-fiction texts, identifying their features and writing our information reports about the different food groups. We will be writing instructions so we know how to make pancakes and how to bake buns. We will also be studying stories with familiar settings, linked to our topic such as Handa’s Surprise, The Lighthouse Keeper’s Lunch and Mr Wolf’s Pancakes. We will be writing character descriptions, describing animals and settings and writing our own food themed stories. As well as this we will be composing and performing food poems. Take a look at the BBC Bitesize Literacy for KS1 website for some fun things to do. We use a cursive style handwriting in our school, please try to encourage your child to use this when they are writing at home. A good resource for this is on YouTube to see how we do this. This can be found here. This half term we will exploring addition and subtraction within 20 by representing and using number bonds and solving one-step problems. We will also be learning about fractions, recognising halves and quarters. We will learn about length and mass, comparing, measuring and recording these in practical problems. If you have any questions about these areas of Maths please come and speak to me. Make maths fun by having a go at some Maths games by clicking here. Once again Year 1 and Year 2 children will be working closely together and our topic title this half term is ‘Where does our food come from?’. This topic has been chosen to provide the children with opportunities to develop a wide range of geography, art and science skills including finding out about food production from the plough to the plate. We are continuing with our topic approach to homework this year and in addition to their reading book, weekly spellings and Maths homework, children must also complete at least 1 homework project based upon our topic. Your child will receive their homework sheet on the first week back this half term, and a copy can be accessed here. Topic homework will be shared during our Pride In Our Learning session on Monday 8th April @ 3pm. Each of the projects have been designed to allow children to develop their creative and critical thinking skills. Remember that you can work with your child on homework and it’s a fun activity to do with your child. We hope you enjoy completing some of these homework projects with your children. Our curriculum page for Year 1 can be found here. Please provide your child with a labelled water bottle to take outside during playtimes. We also advise that you ensure all your child’s school clothing is clearly labelled too as well as making sure that your child does not bring toys from home into school. This would be greatly appreciated. As always thank you for your continued support. It really makes a difference to your child’s learning and if you have any questions or comments please feel free to speak to us at any time.